David Harrington brings more than 17 years’ experience in finance and brokerage to his role as Executive Vice President and National Director for Matthews Multifamily Advisors™ division. He achieves success for his clients by leveraging the firm’s unique marketing platform and applying his unrivaled knowledge of the national multifamily market. This combination creates an ability to “make a market” for multifamily assets using aggressive underwriting and pricing strategies that ultimately connects buyers with sellers. During his career, he has executed over 500 transactions amounting to nearly $2 billion in sales. Recently, David has been a featured moderator and panelist at multifamily conferences across the country hosted by RealShare, Connect Media, Bisnow and Interface. Beginning his career at Marcus & Millichap Capital Corporation in 1999, he made his foray into the business underwriting and processing debt for multifamily assets. After a short time in finance, he moved into brokerage at Marcus & Millichap’s Encino office specializing in multifamily investments sales. 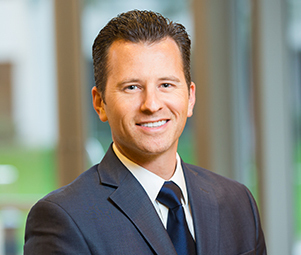 In 2010, David was recruited by and joined Hendricks & Partners, a national multifamily investment sales firm that later merged with Berkadia. In his career, David has earned multiple National Sales Achievement Awards as well as Rookie of the Year while at Marcus & Millichap.